Goldmine Stocks is a key player in the stock market with hundreds of Goldmine Stocks Sub Broker working under them across India. Goldmine Stocks of Mumbai is well known in the share market business and amongst the investor for more than 2 decades now. In this article, you can find detail analysis of their business models, how they operate through Goldmine Stocks Sub Brokers, what are the brokerage plans available with them. Apart from the sub-brokers, this article will also focus on the Goldmine Stocks Franchises and their revenue sharing details and the costs involved. this article will also enlighten you about the various offers, services,and support provided by Goldmine Stocks and about their journey till now. Nowadays every information is available on the internet and that is why it is important for the company to have a good rating to be trusted by prospective customers. The customer ratings of the company suggest that the customers are satisfied with the services and the products from the company as they are rated around 2.4 and 2.5 respectively on a scale of 5 points. The sub-brokers are also happy with the offers from the company and also happy with how the company shares the revenue with them. The offers provided are also well accepted. Moreover, the requirement for the security deposit is fine with the sub-brokers of the company as it is rated around 2.4 points. The overall rating of the company is 2.3 points which makes it quite reliable amongst the customers and the partners of the company. The Goldmine Stocksis a private limited company founded in the year 1994 by BhavinMagdani. The company has been a part of NSE, BSE and many other stock market exchanges for years now. It provides all the required services as a broker and thus counted as a full-service broker. It is based in Gujrat, Ahmedabad. Though headquarter is at Gujrat, the company carries out its operation in different part of the city and the country through its sub-brokers and the franchises. The Sub-broker code activation timeis 3 weeks as the minimum while it might take up to 5 weeks as well. The payout time is within 33 days. Master Franchise: In this business model, the company provides a franchise license to specific entities who meet eligibility requirement and afford the franchise cost. The franchise model runs on the basis of the clients acquired by the franchises and revenue generated by selling products and services of the company. This is a business which can be referred to as a monopoly business in its own area as there can be only one master franchise in one particular area of a particular company. Sub-brokership Model: This business model differs from the previous one in its approach as there can be any number of sub-brokers working in a particular area without any monopoly. They acquire their own clients and sell the products and services of the company and generate revenue. Both the business model is based on a revenue sharing basis where the company shares a part of the revenue with the partners. The revenue shared with the sub-brokers and the franchises depends on one most crucial aspect which is the security deposit or the franchise cost which we will discuss in the next section. In the case of Master Franchises, the revenue earned is within the range of 75% to 85%. 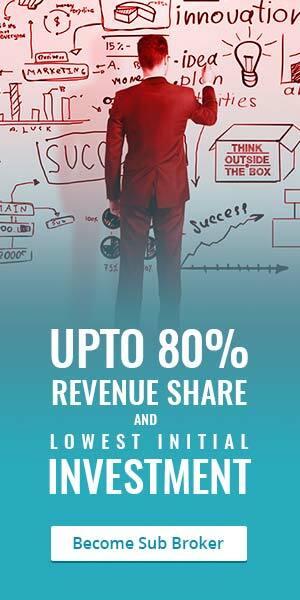 If the franchise invests the minimum cost involved then it is entitled to 75% of the revenue while the maximum investment can fetch 85% of the revenue. The sub-brokers on the other hand on keeping the minimum amount of deposit can earn 50% of the revenue while the maximum security deposit can get them up to 70% of the revenue they generate. The Goldmine Stocks Sub Brokers security deposit can vary between Rs. 30000 and Rs. 100000. The minimum amount is very nominal allows many new sub-brokers to enter the field with minimum investment. The franchise cost starts from Rs. 300000 and the maximum one franchise can invest is Rs. 500000. The amount in case of the franchise is more because of the benefits it enjoys of being one single business in a particular area under the name of the particular company. There has to be at least 2 employee in the office who are working full time. The office must be of 200 square feet and more. The office must be equipped with internet and telephone facilities. There must be research services available. The trading terminals must be there in the office of the Goldmine Stockspartners. Sub-brokers can invest just Rs. 30000 that too as a deposit amount to start the business, while the earning potential is huge. It offers a flexible revenue sharing method. The company provides professional research services and reports to its partners. Provide all kind of required support. The master franchises and the sub-brokers of Goldmine Stocks get full-fledged back-office support, advisory support,and trading support. The partners also get full product training so that they can pitch the products well in front of their customers and ensure the sale. The company charges 0.02% on equity intraday, equity futures, and currency futures as well. The commodities are also traded and brokerage applicable to them is 0.02%. The Goldmine Stocks account opening charges is Rs. 330 at present while the annual maintenance fee is Rs. 250 for the Demat Account. For the trading account, there is no such fee involved and it is completely complementary. The minimum amount of margin money that has to be kept is Rs. 10 thousand as of now. The transactions are charged at 0.00325% as per regulations.